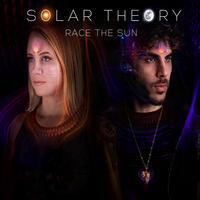 Solar Theory: Sound meditations unifying deeply mesmerizing vocals with electronic soundscapes. The two universes of Torkom Ji and Divasonic collide to form Solar Theory, their collaborative electronic performance and production project. 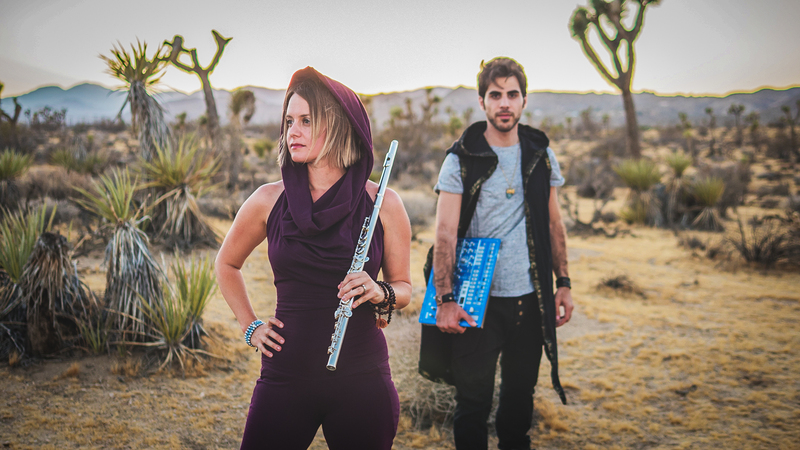 Torkom and Lynda weave deeply mystical and spiritual compositions. Lynda's vocal and instrumental musings about the universe and evolving consciousness, stories of our journey through time, space and love through connection to the source, float over Torkom's signature 432Hz electronic grooves and soundscapes. Solar Theory is unifying the space between sound meditation and live performance through a diversity of form and expression. Their live experience is a download, designed purely to assist one to transcend the limitations of the ego and physical self for something greater that has always been inside. It's an evolution of sound born out of their sound healing and past production work, and serves as an giant leap in the future of forward thinking music based on universal principles. Their live experience is further enhanced by the visual wizardry of Michael Strauss, creating a mind melding audio-visual experience designed to blow minds and expand hearts. Solar Theory lives in California, USA. Tagged as: Electronica, Downtempo, New Age, Daydreaming, Drone, Ethereal, Massage, Meditation, Spa and relaxation, Synth, Yoga.